Faux locs or loc extensions seem have become quite popular recently. So, of course, I have been wanting to try this style. (If you follow me on Instagram you saw these when I first did them a couple weeks ago) Especially since I've been on my long-term protective styling challenge. However, every single video I watched talked about how ridiculously long it takes to put them in. This style is basically two styles in one and that's why the installation can be so long. Because of that, I knew there was no way I was just going to up and do this style one day. But as my box braids grew out, I thought this might be the perfect opportunity for me to try the faux locs. I figured with about 4-5 weeks of new growth, my roots would blend perfectly with the locs. And turning my old style into a new one would hopefully help me hold onto it a couple extra weeks. Another reason I decided to try faux locs this way is because I had a few concerns about them. A lot of ladies say they can be really heavy, which makes perfect sense since you are adding more hair to your head full of braids or twists. I've had a bad experience with too much hair on my head before... definitely don't want to repeat that. I also was concerned that this style might be "too protective", as in all the extra hair might make it hard to moisturize my own hair or even dry it out. So, in putting these over my old box braids I wasn't going to be too invested in them, no matter the time comittment. I knew if I felt something was off about them or anything, I wouldn't hestitate or feel bad about taking them out. My hair had been put away from a month or so already. There's two ways you can go about loc extensions: yarn or marley hair. I chose marley hair because I think it looks more natural and the thought of yarn wrapped around my hair just didn't sit right with me. This whole process is not difficult at all, just time consuming. I do not understand how anyone has the patience to install these from scratch all at once. I will never do that ya'll! Lol! I pretty much did it all in one day and my arms were so tired. I cannot imagine installing box braids or marley twists and then wrapping more hair around them straightaway to install the locs. Nope. My arms would just fall off I'm sure. It might go without saying, but I do not like too much hair on my head ya'll. I always try to use the most minimal amount I can when doing these protective styles. With my box braids, I used about 2.5 packs of hair and I pretty much added the same amount of marley hair to complete the faux locs. As I watched videos of people completing this style, they were talking about using 7-8 packs of hair, which is just way too much for me. Wouldn't you just feel like your neck was going to snap from all that weight up there?! I can't. One thing I did to prevent having to use so much hair is cut my box braids. I knew that one reason ladies have to use as much hair as they do is to get long lengths. So, first I cut the braids to about mid-back length. Then I unbraided each one until I found my hair so I could be mindful of around where I needed to stop cutting. I was always pleasantly surprised at how quickly I found my hair, too, not having to unbraid very much. I left the back at the longer length and layered the top of my hair with shorter lengths. I wanted it to look natural, but have a style to it as far as its length. I knew since I was cutting it, I wasn't going to be able to do a lot of the updo type styles, I've seen done with faux locs so I wanted it to look nice just being worn down. People typically finish their locks by burning them to secure the ends, but I was kind of uncomfortable with that since the ends aren't too much longer than my real hair. So, initially, I did the typical wrap back up method, but just palm rolled the hair to get it to stay. The majority of my locs stayed perfectly with this method. There were, however, a few that just continued to unravel so I had to burn those. Overall, I was really happy with the way this style turned out! It had to grow on me at first, I wasn't really sure how I felt about it. Probably because it's a very different look for me. But I ended up loving it. Has anyone else tried faux locs before? Let me know about your experience! They look great! Have you found a way to moisturize your hair underneath? Thanks, Harlem! Yes, I ended up making a watered down moisturizing mix so that I could kind of saturate them to ensure they were being moisturized properly. That's a lot of hair:-) You did a great job. Yes it is! Thanks, Nerline! Thank you, Lydz! That's a good point that I didn't even think about. Just another reason for me not to use yarn... if I ever decide to try this style again. These are so beautiful! Just in time for winter! I need to figure out how I'm going to protect my strands this winter. Thanks, Bree! I'm planning on protective styling through the winter, too. Haven't quite decided how yet either. Hope you come up with something soon! I love how you converted from one style to another! A great wait to stretch out a protective style. Beautiful results! Thank you much, Kristal! Thanks for stopping by, too! Hi Kim! Yes, you can wash them. 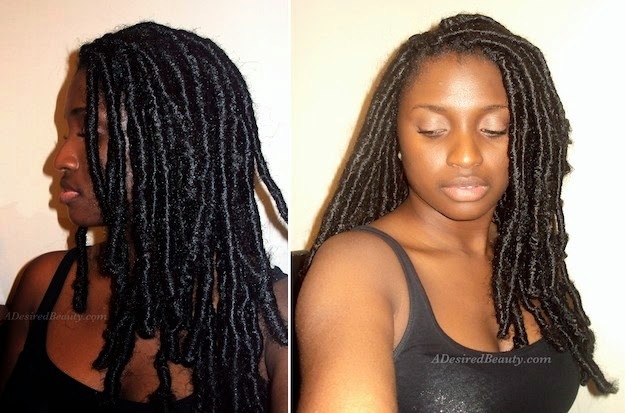 A lot of ladies use this style to transition into locs, which I didn't know until after installing them. So, you can actually take care of them pretty well. I chose not to wash them because by the time I would have, I just took them out. So glad I found your post!!! I just got box braids last week and I was thinking of turning them into faux locs to stretch the hairstyle out! Did you have any new growth when you started this process? Because I'm having some trouble getting the hair to stay wrapped at the tip-top part where there's some new growth before my braids. Should I re-braid the whole strand? I did have new growth when I started. I felt like the locs would look more natural with some new growth at the root. No need to rebraid the whole strand, just start wrapping where the braid starts. That is what I did. Hope that helps! Do you have a tutorial on how you did these, they are so cute!!! Thank you! I don't have a tutorial yet. I think I am going to try this style again soon though so I will try to make one then. Can you use any other hair besides Marley. Thanks so much for this. 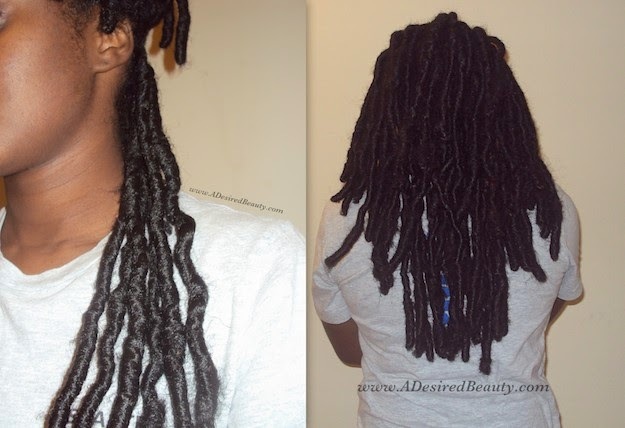 Just had the idea to turn my yarn twists to faux locs and googled, then found this. Will do mine this week. Thanks! Hi what's the name of the braids you used for the locs itself?